Micronas (SIX Swiss Exchange: MASN), a leading supplier of innovative applicationspecific sensor and IC system solutions for automotive electronics, today announced the supply of the 500 millionth Hall sensor from the HAL 8xy family. The success story of these programmable linear Hall sensors is based on the groundbreaking new function of making the sensors programmable via a chipintegrated EEPROM and their use in an extended temperature range of TJ=-40 to 170°C. In 2001, Micronas won the PACE Award (Premier Automotive Suppliers' Contributions to Excellence) for its innovative HAL 8xy family. "The programming option allows our customers for the first time to match their sensor modules at the end of production with the mechanical production tolerances of their systems, resulting in a clear reduction in system and production costs. We have also integrated additional functions such as offset and temperature compensation which have substantially enhanced the reliability of these noncontacting sensors, especially in the automotive sector", says Matthias Bopp, CEO of Micronas. Linear Hall sensors are fundamentally suitable for the noncontacting and nonwearing detection of positional or angular distances. The HAL 8xy family is used primarily in automobiles for throttle valves, headlight leveling control, power steering systems, right through to fuel tank level measurements. Leading car manufacturers worldwide are among the end customers. The sensors are also increasingly used in industrial electronics, in domestic appliances and in medical engineering. Micronas will present the HAL 8xy family at the Sensor+Test trade fair in Nuremberg, Germany, (booth 12-302) from May 18 to 20, 2010, and at the Sensors Expo & Conference in Chicago, USA, (booth 715) from June 7 to 9, 2010. 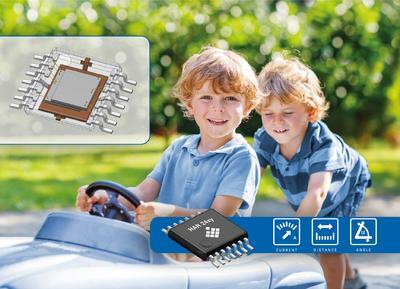 Micronas today offers the world's broadest range of Halleffect sensors. A Halleffect sensor detects the presence of a magnet without requiring actual physical contact. Thus, it can be used to sense movement and rotation without requiring contact with the moving object. Other parameters like pressure, force or torque can be sensed by noting the slight movements of a magnet caused by changes of the applied parameter. 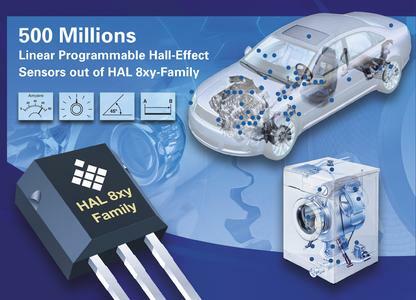 While Halleffect sensors can be made from various materials, Micronas pioneered the market in CMOS Halleffect sensors and was the first to manufacture in CMOS technology. This technology allows integration of the Halleffect sensing element with standard electronic devices such as amplifiers, logic circuits, and volatile and nonvolatile memories. Micronas' expertise in Hall sensors combines perfectly with its CMOS and mixedsignal knowhow to create accurate, intelligent sensors for a broad range of applications. 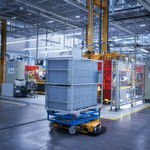 The everincreasing demand for energyefficient and highly reliable machines means that demand for these smart sensors will continue to grow. Micronas (SIX Swiss Exchange: MASN), a semiconductor designer and manufacturer with worldwide operations, is a leading supplier of cuttingedge sensor and IC system solutions for automotive electronics. Micronas offers a variety of Hall sensors and microcontrollers for automotive and industrial applications, such as car dashboard, body control, as well as motor management and comfort functions. Micronas serves all major automotive electronics customers worldwide, many of them in continuous partnerships seeking joint success. While the holding company is headquartered in Zurich (Switzerland), operational headquarters are based in Freiburg (Germany). For more information on Micronas and its products, please visit www.micronas.com.